Gallery 10 is having a Photography Invitational for the month of May. David and Leslie Schupp, David Lindquist, and Mike Sweeney each bring a fresh and interesting style to the art of photography. A reception will be held in their honor on Saturday, May 6, 2-5 P.M. at Gallery 10, 15 Eureka St., Sutter Creek. David and Leslie Schupp started out on film with a dark room at home, using 35 mm and a large format. They took many photography classes at Consumnes River College. They are now working in digital photography, encompassing landscape, architecture, still life, seascapes, flora and whatever catches their eye. They have won many awards at the Amador County and Calaveras County fairs with their work. David Lindquist started taking photos in 1962 with color slides. In 1965, after seeing a show of Ansel Adams photographs, he went straight home and scraped together the money to buy an enlarger, so he could print in black and white. He soon graduated to a large format camera and a bigger enlarger. Admiring the work of such accomplished photographers as Ansel Adams, Edward Weston, Brett Weston, and others, David took classes at the University of California Extension to improve his own photography. 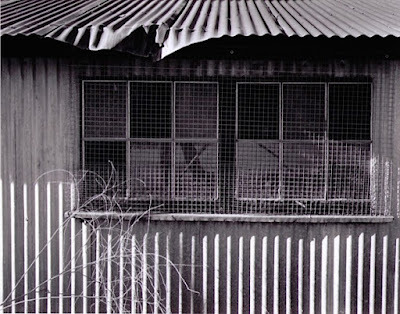 David finds interest in such man-made subjects as buildings, bridges and machinery. 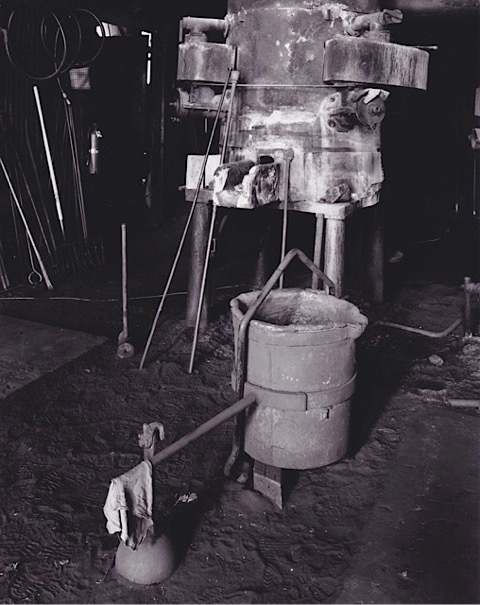 He has some fine photos of the workings in the Knight Foundry in Sutter Creek. Mike Sweeney has won many awards for his photographs of local subjects. One particular photo of a swan, backlit, feathers plumped, won blue ribbons at the California State Fair and the Amador County Fair. He is particularly drawn to birds in nature, and as he does a lot of kayaking and hiking, he finds birds and wildlife in many quiet places. "Mute Swan" is a bird he has followed for three years, near Mandeville Point on the Delta. "I still get chills every time I see that bird," Mike said. "He's the most beautiful bird I've ever seen." All are invited to meet these talented photographers at the reception on Saturday, May 6, during the Amador Art Trek, at Gallery 10, 15 Eureka Street, Sutter Creek, 2-5 P.M. 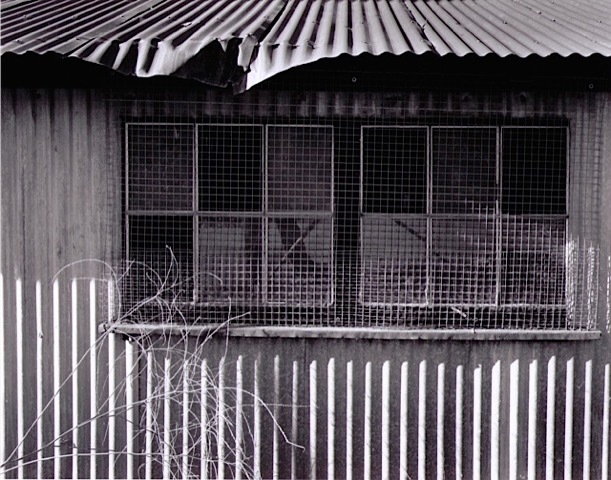 The gallery will show these photographs the whole month of May, open Thursday-Monday 11-5. 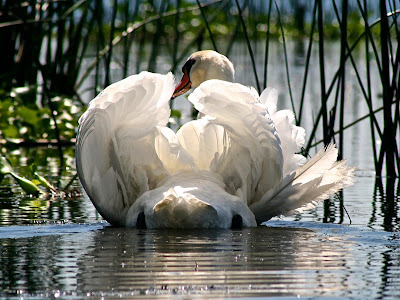 "Mute Swan" - Mike Sweeney. 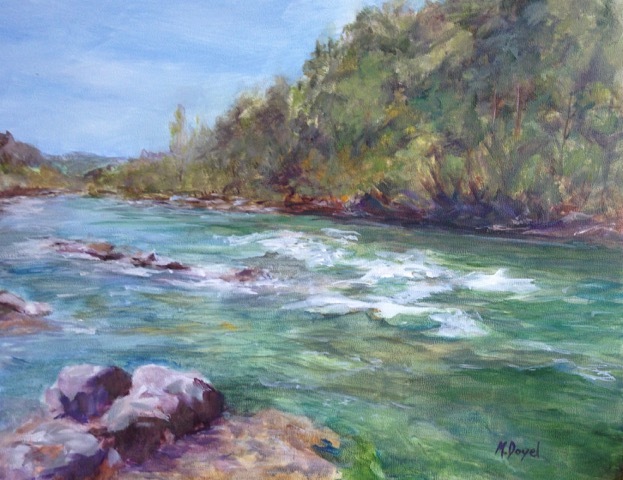 Melissa Doyel has drawn, painted or hand crafted most of her life and loves exploring new ways to create. After moving to Fiddletown in 2008, she was able to devote more time on her art and has been challenging herself and pursuing her passion ever since. She will be Sutter Creek Gallery’s featured artist for the month of May. Doyel works in watercolor, acrylics, pastels and oils and she enjoys painting a variety of subject matter, including portraiture. Her own reference material of special people, places and nature inspire her work. 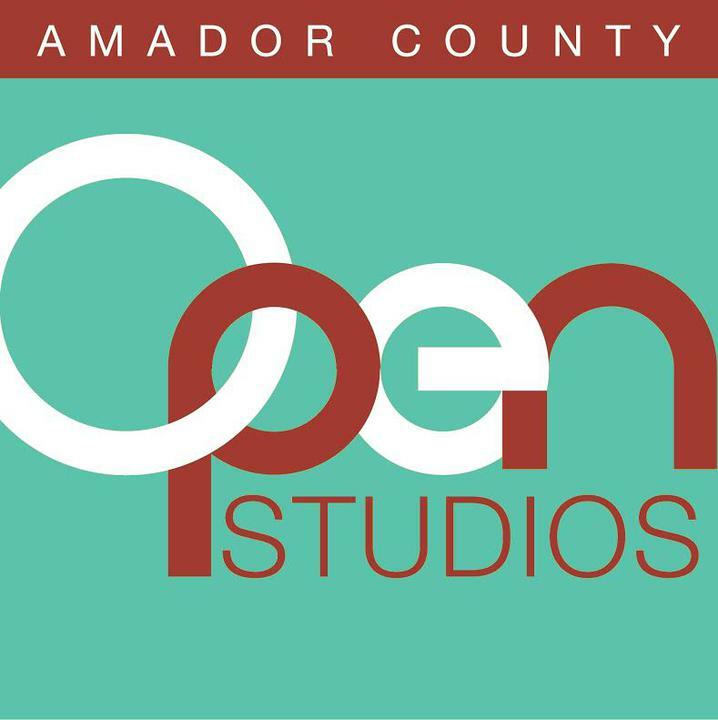 While not formally trained, she feels incredibly fortunate to have found amazing teachers and artists in Amador County who have helped her explore new ideas and techniques. “I learn something with every painting and like to push myself to keep growing as an artist,” explained Doyel. Her work has been accepted into multiple regional juried shows as well as having received Best of Division, Best of Show and multiple 1st and 2nd place awards in the Amador County fairs. 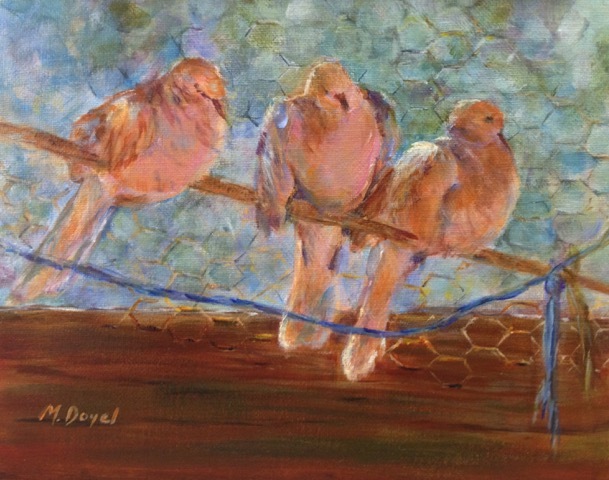 Doyel’s work was also accepted into the 2017 Sacramento Fine Arts Animal House juried show, and the upcoming Lodi Best 100, its 57th Annual Spring Show in May. 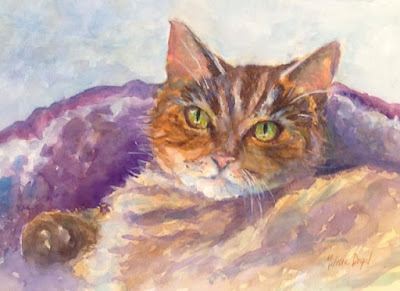 She is a member of the Amador County Artists Association and Sacramento Fine Arts / NCA & WASH chapters. 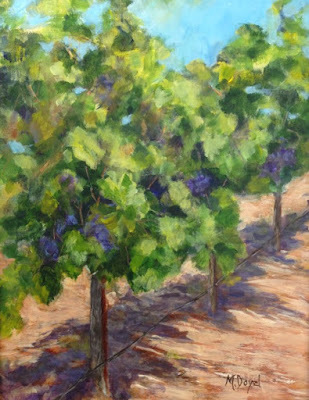 In addition to Sutter Creek Gallery, her work can be found throughout Amador County businesses as part of the Art in Public Places program. You can also view more of her work on her website, www.melissadoyelart.com. 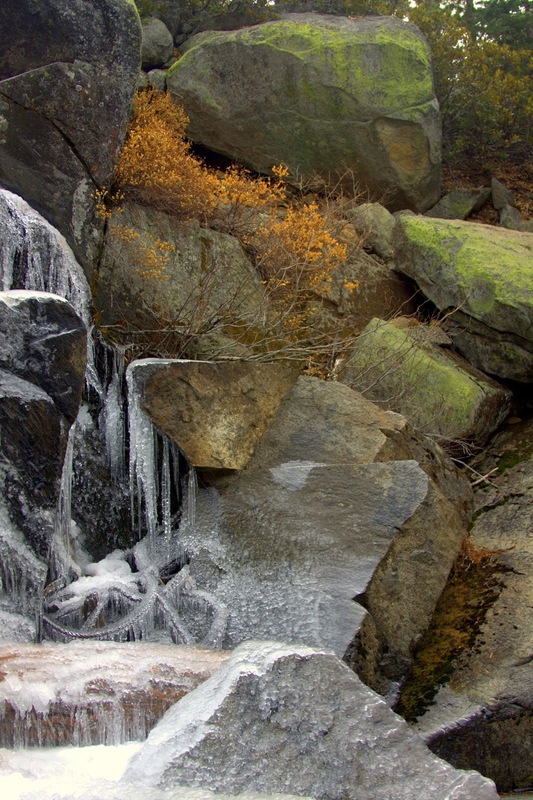 "Mokelumne River in the Spring"